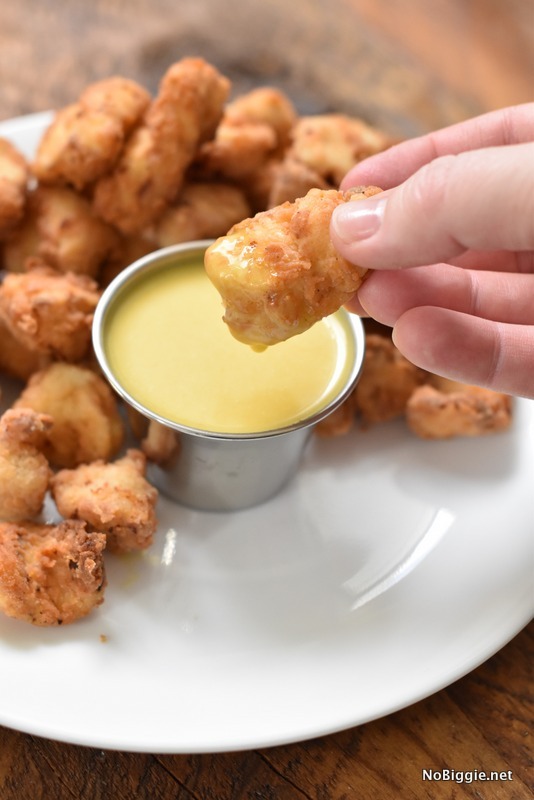 Make Chick Fil A Nuggets at home…and the sauce too! This copy cat recipe is a keeper! 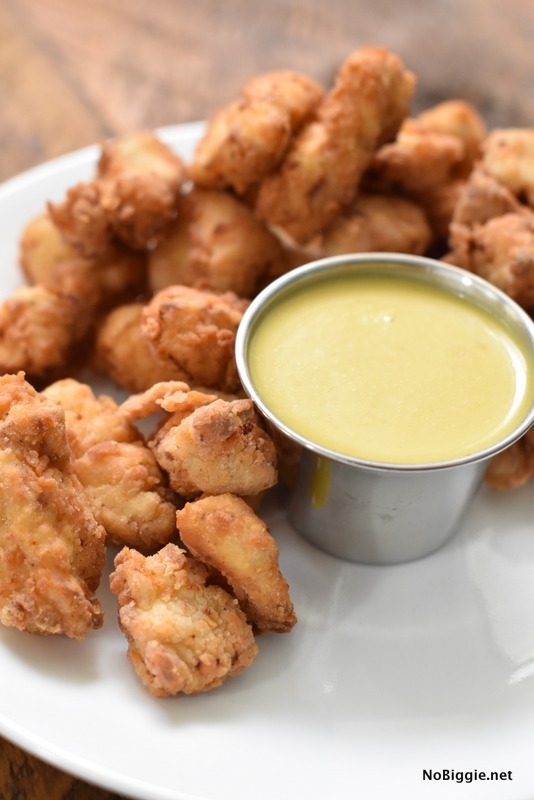 We are crazy about Chick Fil A at our house…is it the nuggets or the sauce? Which came first the chicken nuggets or the sauce? haha…Really it’s the best combination, don’t you think? I’m all for a good copycat recipe, and if you are up for the challenge, you have to make these! 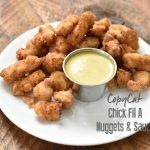 You can feed your whole family well with this delicious CopyCat Chick Fil A Nuggets and Sauce recipe. I need your advice…I rarely fry anything at home, but on occasion, it’s fun to recreate a delicious recipe like this at home. Here’s my question for you. How do you dispose of your cooking oil after cooled? I let it cool and then put it back into the plastic bottle it came in, to dispose of it. I have heard of people dumping it into the ground, and the ground just absorbs it. Is that strange? I’d love to know what you do when it comes to disposing of cooking oil after use. Just like Chick Fil A, only better because you made it! Feed the whole family with this awesome copycat recipe. In a large wide frying pan, heat peanut oil to medium high heat. Test the oil to see if it's at the right temperature before beginning by a few drops of water into the frying pan. The oil should sizzle, but not pop. Adjust your heat if necessary. Working in batches, add the uncooked chicken to the hot oil to cook. 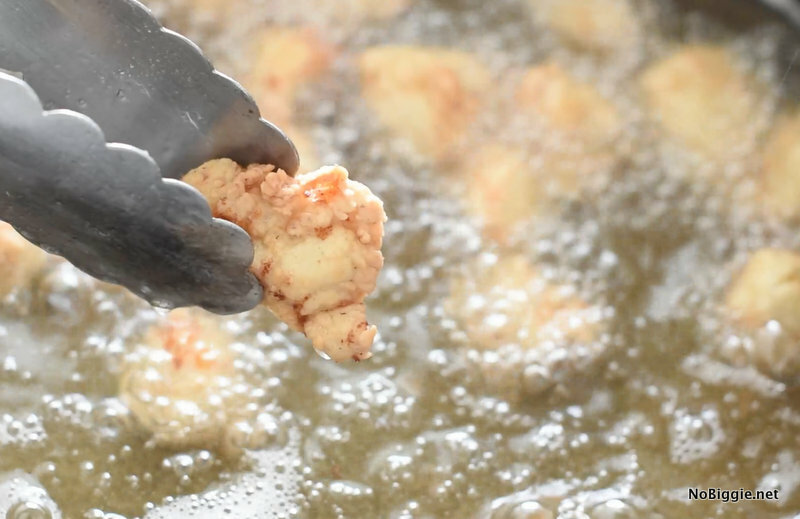 With tongs, turn each nugget over to cook well on all sides until the nuggets are golden brown. The cook times will vary depending on the size of chicken pieces. We made a quick video to show you how easy they can be made at home…and so worth it! I’m already excited to make them again! I’m excited for you to make them!